Just above the Sands at Langland Bay are 79 Council-owned holiday beach huts, the newest built in the 1960s and the rest in the 1920s. Behind the huts is a spectacular building, built in the 1856 , in Scottish Baronial style for Henry Crawshay ,son of a Merthyr Tydfil Ironmaster. The Mansion was used as a summer home , later converted into a hotel , and in 1922 used by the "Workingmen's Club and Institute Union" as a Convalescent home. 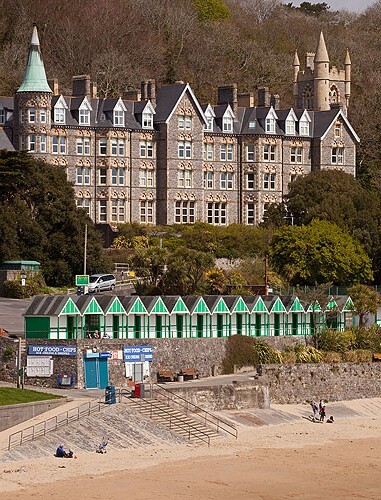 Recently renamed "Langland Bay Manor", it is has been converted into 27 luxury apartments.